Daniel Rutherford, late 18th century. 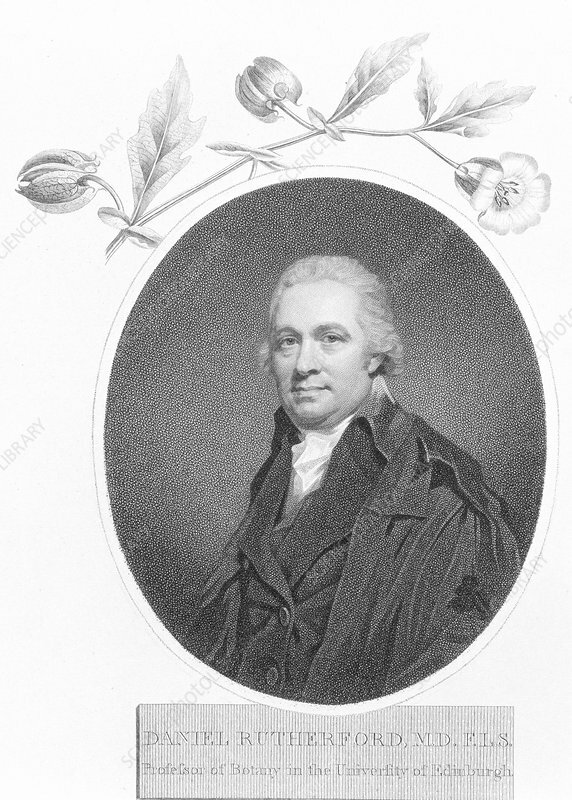 Rutherford, Scottish physicist and botanist, became professor of botany at Edinburgh University in 1786. His portrait is framed at the top by flowers. He discovered the distinction between 'noxious air' (nitrogen) and carbon dioxide, the details of which he published in 1772.